Close-up of fresh spinach leaves. Spinach cooked in the oven is most commonly paired with a liquid-like cream or stock, cheese and breadcrumbs. While the amount of cheese you use can be varied based upon your tastes and dietary needs, the basic preparation is the same for baked spinach. 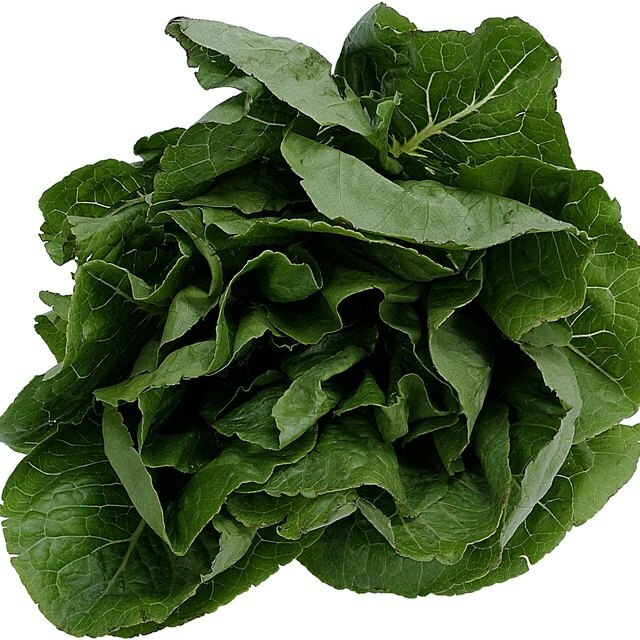 Baked spinach makes an excellent side dish for a roasted chicken or duck, as well as heartier fish like salmon and haddock. Remove the stems from the spinach leaves and rinse them under cold clean water from the tap in a colander. Add the spinach to a large saucepan and add enough cold water to just cover the spinach leaves. Heat a saucepan over high heat until the water is boiling. Boil the spinach for 4 to 5 minutes or until the leaves are wilted and stuck together. 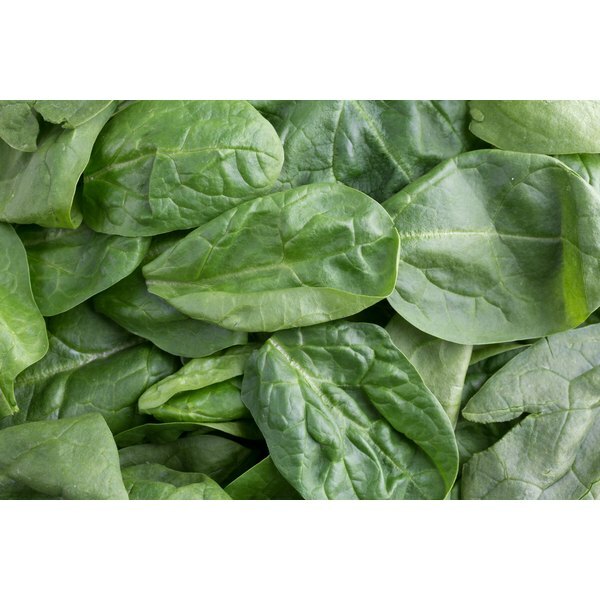 Drain the spinach in a colander in the sink and rinse with cold water to stop the cooking process. Place the spinach in a baking dish just large enough to hold the spinach. Add the stock and half the cheese and toss to combine. Top the spinach with the other half of the cheese and the breadcrumbs and season with sea salt or kosher salt and freshly ground black pepper to taste. Bake the spinach mixture in the oven for 25 to 30 minutes without opening the oven door. Allow the spinach to rest for 5 minutes to set before slicing and serving it. If you choose to use frozen spinach for this recipe, skip the boiling step. Make sure the spinach is adequately dried by squeezing it through cheesecloth two times.